Alexander Fokkens’ extensive experience, both local and international, his professionalism , and his intense passion for music have led him to become one of the most sought-after conductors in South Africa. Committed to ensuring that performances under his baton are of the very highest calibre and level of musicality , Alexander’s artistic integrity , personality and energy on the podium , and his excellent rapport with musicians and singers alike , have made him popular with performers and audiences everywhere. 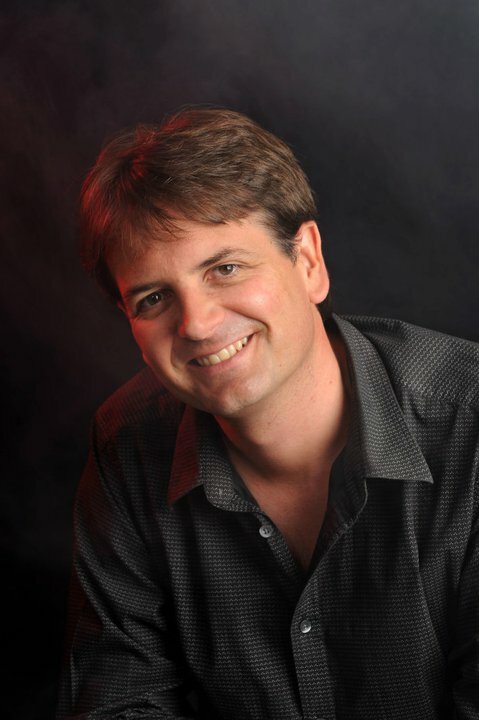 Since returning from the USA in 2005, Alexander has been involved in many different areas of classical music in South Africa , and he currently holds a number of posts . In 2011 , he was appointed Artistic Director and CEO of the Free State Symphony Orchestra as well as Conductor of the Free State Youth Symphony Orchestra. He has been Music Director of the Symphony Choir of Cape Town since 2005 and holds the positions of General Music Director of the Swakopmund Musikwoche in Namibia (since 2010) and Musical Advisor to the Namibian National Symphony Orchestra (since 2013). Alexander is committed to the education of young musicians and one of his undeniable strengths is that of discovering , inspiring , mentoring and developing young musical talent . Under his expert guidance, students in youth orchestras such as the Fargo Moorhead Area Youth Symphony in the USA (2001-2003), Aberdeen University/Civic Symphony (1999-2005) and Cape Philharmonic Youth Orchestra (2006-2012) have excelled , and these orchestras have risen to new levels of performance. He has been involved for many years with the University of Cape Town Orchestras , both before and after his time in the USA. He is currently the Music Director and Conductor of the University of Cape Town String Ensemble and Symphonic Band (2009 to present) , and is Resident Conductor of the University of Cape Town Symphony Orchestra (2006 to present). His vision and unwavering dedication to the delivery of memorable performances have seen Alexander become an acclaimed guest conductor, both here and in the USA . Amongst others, he has conducted the Latien Weed Honours Orchestra in South Dakota, The Grinnell Symphony Orchestra in Iowa, The Cape Philharmonic Orchestra, the KwaZulu-Natal Philharmonic Orchestra, Cape Town Opera, JMI Orchestra, the Black Tie Opera Company, Eastern Cape Philharmonic Orchestra, South African National Youth Concert Orchestra, Free State Symphony Orchestra and Youth Orchestra , and the Chamber Orchestra of South Africa. He made his European debut in 2006 , conducting Joplin’s Treemonisha in La Turbie, France. Many soloists have enjoyed appearing with Alexander , and some of those who have played or sung under his baton include John Owings, Curt Thompson, Pretty Yende, Koos Kombuis, Tumi Molekane, Leslie Howard, Anmari van der Westhuisen and Samson Diamond, to name but a few. Graduating from the University of Cape Town in 1998 with a BMus in Orchestral Studies (Double Bass) , Alexander then went to America and furthered his studies at Texas Christian University , where he obtained his Masters in Double Bass performance and completed 3 years of Additional Studies in Theory and Conducting. He has studied with world- renowned conductors such as Omri Hadari, Gerard Korsten and German Gutierrez , and has participated in Master Classes with Henry Charles Smith, William LaRue Jones, Jorge Mester, Joann Falletta, Leslie B Dunner and Ron Spiegelman.